First you will have to download IronPython dll files and place them into Assets/Plugins directory. 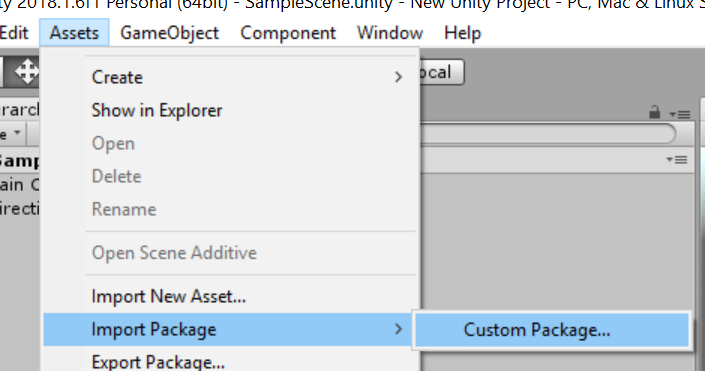 The easiest way to do this is by downloading my Unity package. For a similar example, see the PythonExample prefab in my Unity package. As you can see, the Python class can be directly used as an object in C#, and better yet, if you provide the path to the Assets\Plugins\Lib folder included in my Unity package, you can use anything in Python standard library! In addition, if you also provide the path to your Python script, you can import anything in that path as usual. Assets\Plugins\Lib folder. This will make them available for IronPython. Note: Using absolute paths is fine when you are doing development, but if you ever decide to publish your game, you will need to resolve the paths dynamically and distribute the standard library in Assets\Plugins\Lib and your Python scripts with the game executable.